This year Brioche Pasquier UK, French Family Bakers since 1936, are supporting Cancer Research UK’s Race for Life. The new champion sponsor of Race for Life hopes to raise £15,000 to help fund vital research to beat over 200 types of cancer, as well as offering up to £10,000 worth of free child entry vouchers in the lead-up to race days throughout the UK. 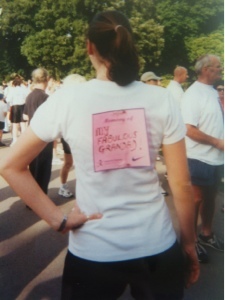 Me, back in 1999, before my first Race for Life in Cardiff! 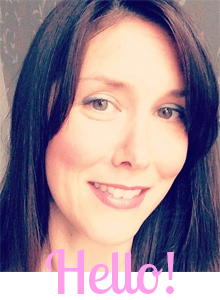 If everyone I know sponsored me a teeny tiny £1 it would be fantastic! 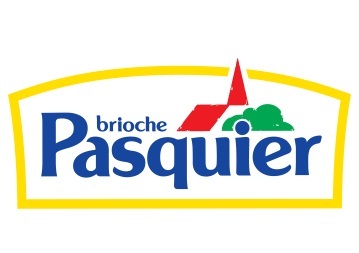 I've been very lucky to be sponsored by the Race Sponsors at Brioche Pasquier to the tune of £250, so any more on top of that would be amazeballs. The first of the promotions, ‘Run with Your Mum’ packs, hit shelves recently in leading supermarkets and will be included on the filled brioche range. The initiative is to encourage up to 1,000 mums to run with their children by covering the £10 entry fee for the child. The second promotion, ‘Raise Some Dough’, which runs throughout June and July gives customers the opportunity to win donations of up to £100 to send to friends or family taking part in a Race for Life event through their JustGiving page - or alternatively they can simply donate to the Brioche Pasquier Race for Life team. Saw your pre run pics on facebook today! How'd it go? Will be doing the same in Nottingham. Sorry you've had to deal with cancer among those you love too. The gift of time and survival is a very powerful one indeed.